CS Analyst™ is a frequency domain application that solves interference injected on electrical cables. 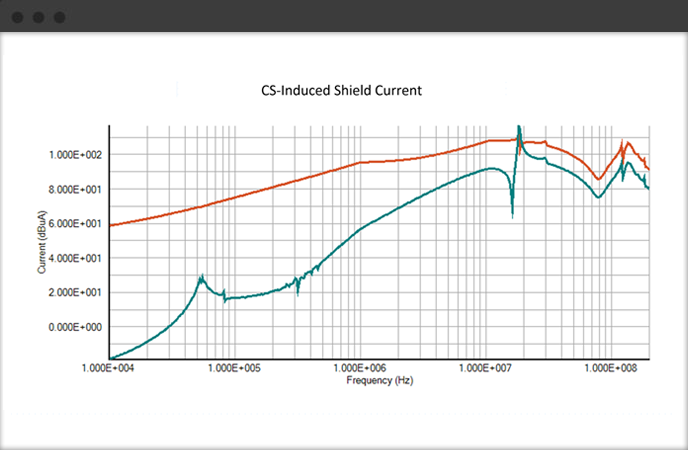 Use CS Analyst™ to predict voltage and current induced by low frequency electromagnetic fields and system operations and to evaluate the performance of system design elements such as cable shields, EMI filtering, and system grounding. Purchase CS Analyst™ as a stand-alone application or as a component of the EMI Analyst™ suite. CS Analyst™ runs on Microsoft Windows. Graph induced voltage and current, accounting for shielding, filtering, and system resonances. Color, font size, line styles, etc. Account for shield termination method and its effect on cable shielding effectiveness. Model loading, coupling, mismatch, and resonant effects of cabling using eight fully configurable conductor configurations. Select length, wire gauge, separation, ground plane, and shield attributes to match your system interconnects. Take into account the loading and resonant effects of circuitry in your system by accurately modeling the RF characteristics of your circuits. Easily accommodates the non-linear loading effects of Line Impedance Stabilization Networks required for standardized CS tests. Solid wall and woven wire braid cable shields. limits. User definable and fully customizable. 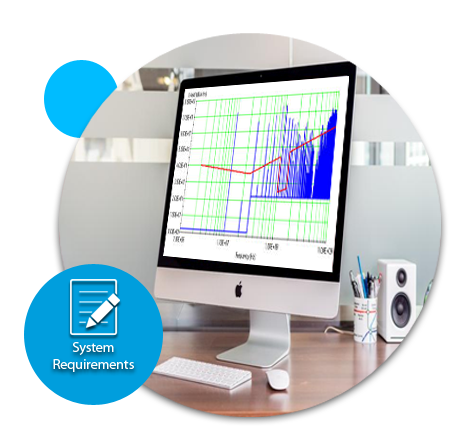 Accurately synthesize EMI filters using the built-in schematic capture program. Choose from ideal and realistic components. Complete property customization.